So, Google Voice just received its first update in over a year. The last time Google Voice got an update was when the Hangouts-Google Voice merger was supposed to have begun, which was on September 12 of last year. In today’s update, which jumps the app up to v0.4.7.6 appears to be quite minor. In fact, we aren’t seeing anything new, so this must be background fixes or behind-the-scenes stuff that we don’t have access to. I should point out that this app also seems to be a dogfood version, which is what Google refers to internally tested apps. When installed, you’ll see the dog paw on the top right corner of that app’s icon. If we find anything new, we’ll be sure to update this post. 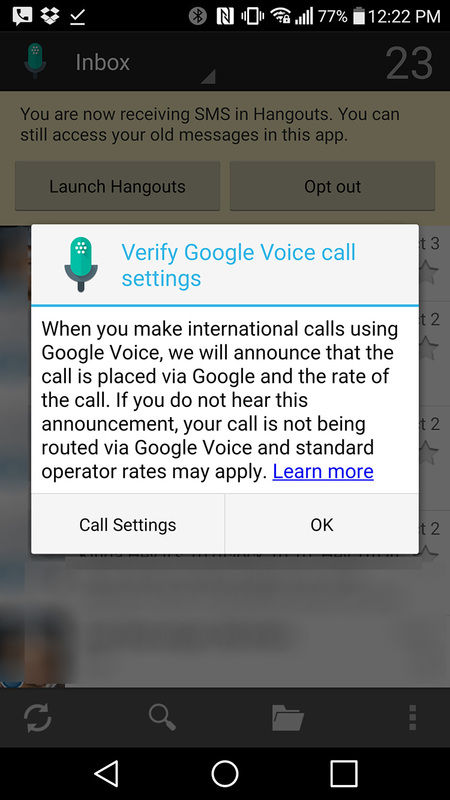 Edit: There is a new pop-up after updating that mentions Google announcing international rates when international calls are made. That could be the newness.